The LIHEAP program provides financial assistance by paying fuel vendors directly for income-eligible households including individuals, families, single or multi-family homes, owners or renters. Energy managers provide detailed reviews of electric usage and conservation information offering immediate energy savings. Program provides little to no-cost upgrades or repairs for refrigerators, light bulbs, and light fixtures for homeowners and renters. Contact us for information on multi-family properties. Instant savings are available for tenants and home owners of 1 to 4 family units! Energy Auditor will review your electric usage. The Energy Auditor will also bring energy saving light bulbs, smart power strips and TLC kits for your refrigerator. LIHEAP clients and households paying the R2 rate with National Grid are eligible. If your refrigerator, freezer, washing machine, dehumidifier or air condition is an energy guzzler, National Grid Electric may replace it for FREE! Tenants and Homeowners are eligible for this program! 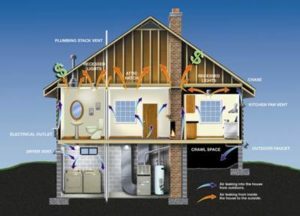 The Weatherization Assistance Program provides households with the opportunity to permanently reduce their energy bills. We install insulation, weather-stripping and more, making your home warmer in the Winter and cooler in the Summer. Full scale home energy conservation services are provided using the most advanced technologies and testing protocols available. Homes are selected on a priority basis and all work is subject to quality control inspections both during installation and after the work is completed. There is NO COST for this service for LIHEAP Eligible Households, for those eligible for discounted utility bills and some other programs. Funding is supplied by the Department of Energy, National Grid and Eversource. Emergency Repairs, Maintenance and Replacement of heating systems is available (subject to funding availability) to LIHEAP and discount rate eligible homeowners. In most cases, your landlord is responsible for your heating system if you rent. If you are experiencing a heating emergency, call us right away. CITIES/TOWNS SERVED: Worcester, Auburn, Brookfield, Boylston, Charlton, Charlton City, Charlton Depot, Douglas, Dudley, East Brookfield, Holden, Jefferson, Leicester, Cherry Valley, Rochdale, Millbury, North Brookfield, Oakham, Oxford, North Oxford, Paxton, Rutland, Southbridge, Spencer, Sturbridge, Fiskdale, Sutton, Manchaug, Warren, West Warren, Webster, West Boylston, West Brookfield. If your community is not listed, please click this link to see which agency to contact for fuel assistance.